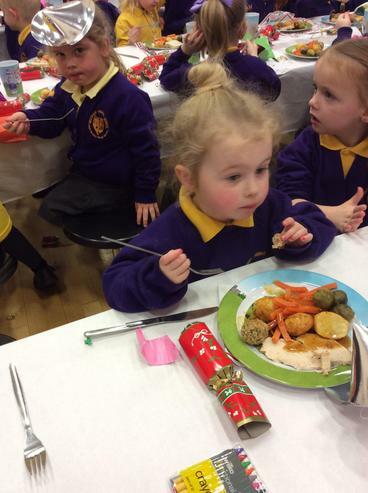 Blue Stars walked to the post box today to post our letters to Santa. 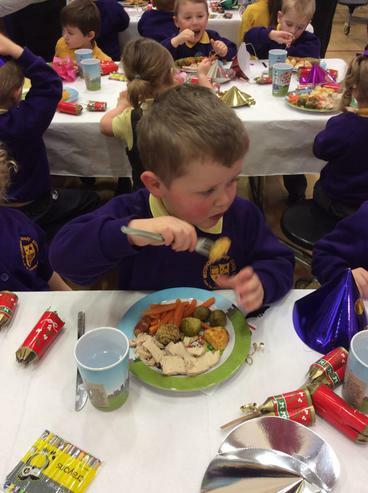 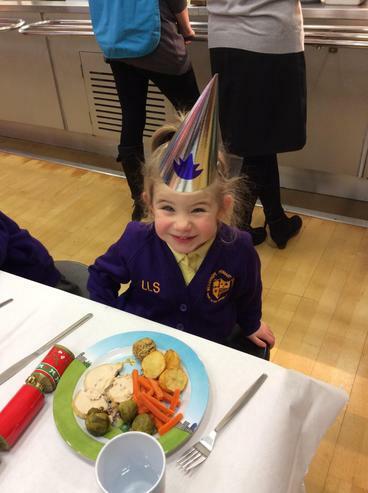 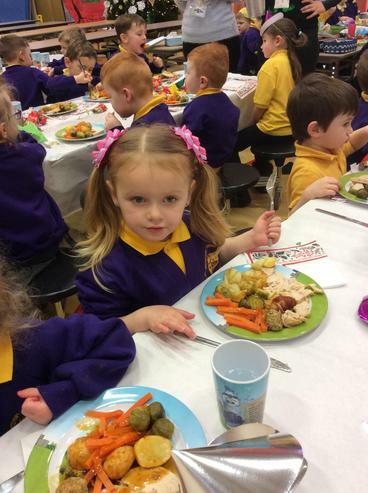 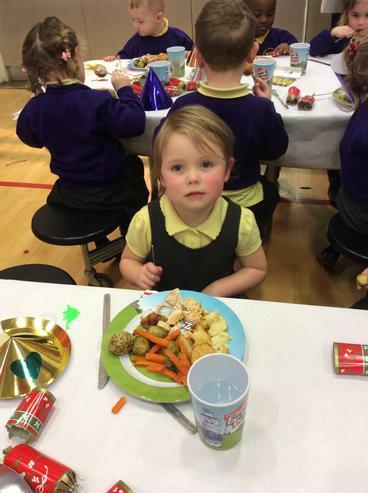 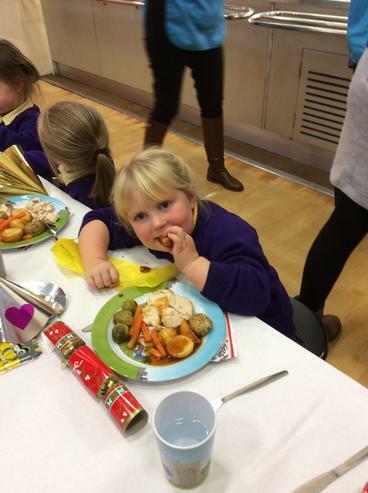 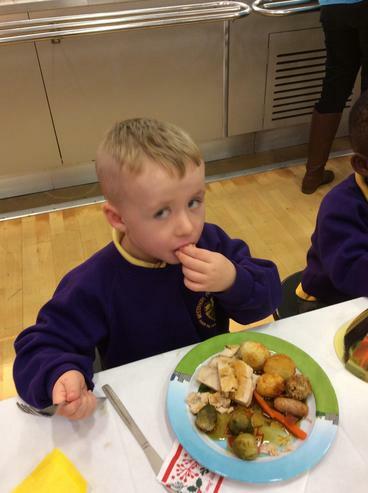 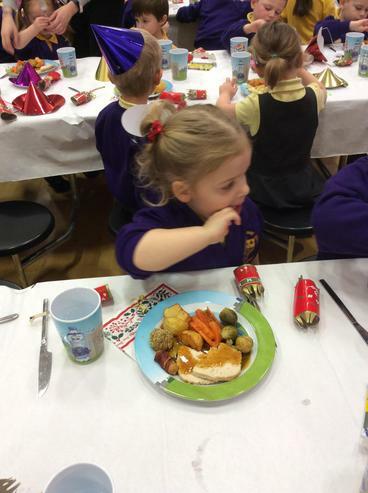 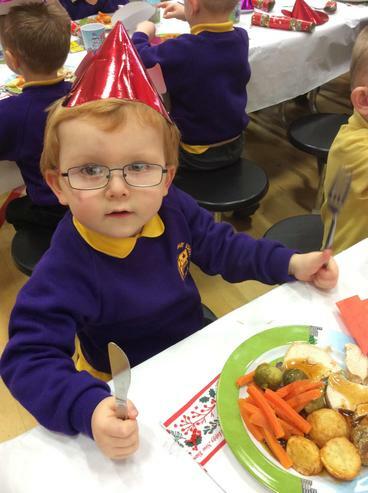 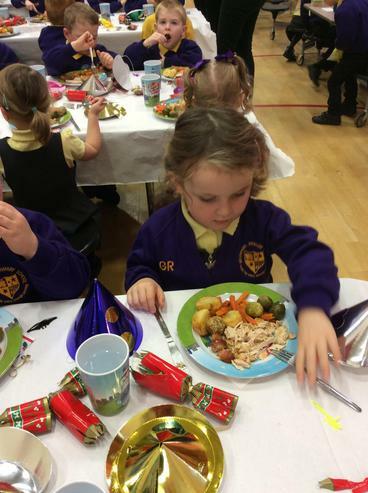 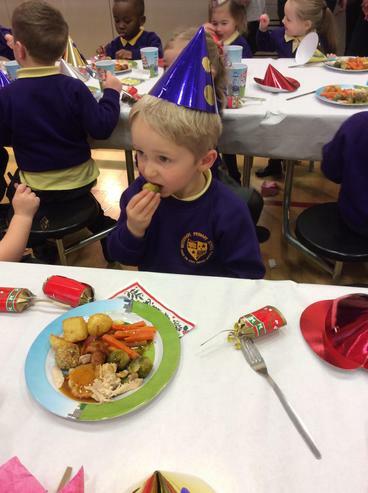 Today we enjoyed Christmas dinner at Nursery. 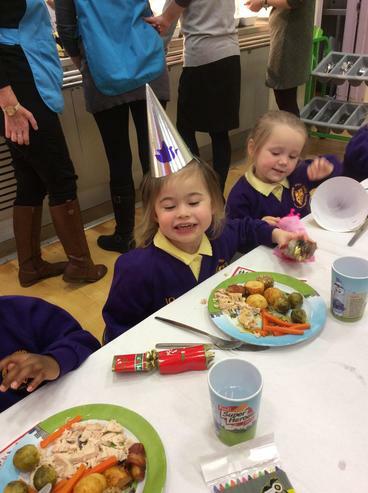 We had crackers and party hats too! 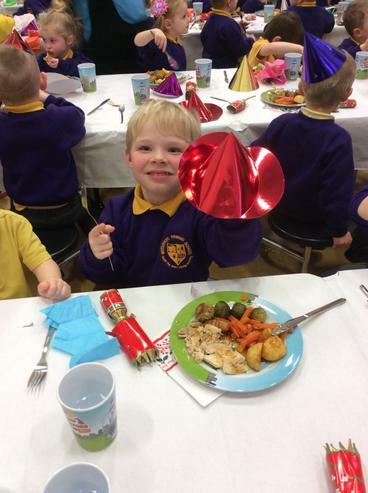 Red Stars walked to the post box today to post our letters to Santa! 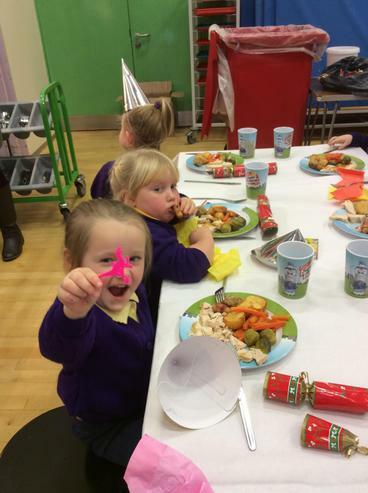 Red stars enjoyed their walk to the post box. 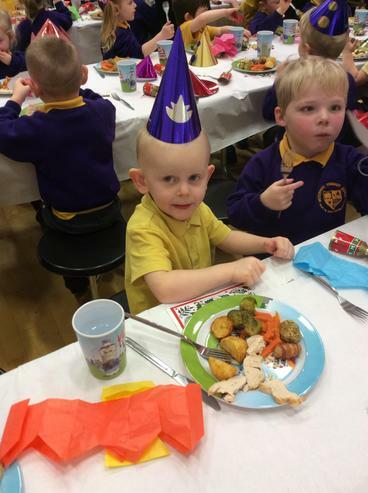 Ask about the time our letter will be collected. 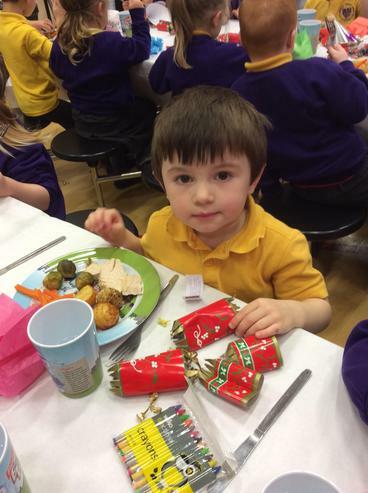 He needed a little help to post the letter!